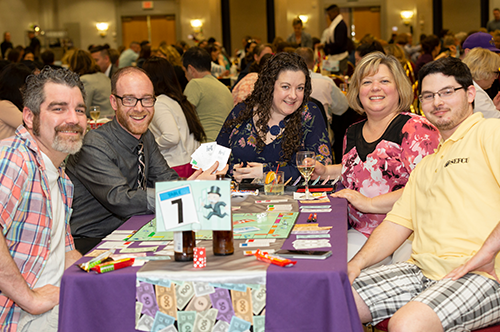 SEFCU has been “Passing Go” for more than 25 years at our annual tournament raising more than $300,000 to benefit the Center for Disability Services. Game begins at 6 p.m.
Light buffet, soda, and coffee will be provided. Cash bar (ID required). The cost to play at the tournament is $40 per person if registration and payment is received by May 1, 2019. The cost will increase to $45 per person for registration and payment received after May 1, 2019. A representative will contact you to make payment arrangements. All registration forms must be received no later than May 7, 2019. Must be at least 18 years old to play. Learn about SEFCU's commitment to providing an accessible website or report any accessibility issues at www.sefcu.com/accessibility . Some content on this site uses PDF files, which can be read using many web browsers or Adobe Acrobat reader. Copyright © 2015-2019 SEFCU. All rights reserved. This site and all contents are the property of SEFCU and cannot be reproduced without written permission.